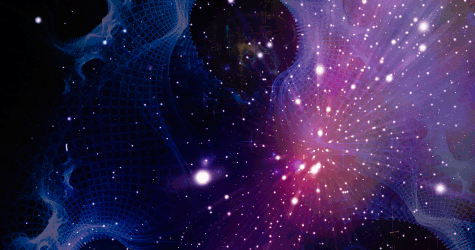 Apologetics Press - Can Quantum Mechanics Produce a Universe from Nothing? According to the First Law of Thermodynamics, nothing in the Universe (i.e., matter or energy) can pop into existence from nothing (see Miller, 2013). All of the scientific evidence points to that conclusion. So, the Universe could not have popped into existence before the alleged “big bang” (an event which we do not endorse). Therefore, God must have created the Universe. One of the popular rebuttals by the atheistic community is that quantum mechanics could have created the Universe. In 1905, Albert Einstein proposed the idea of mass-energy equivalence, resulting in the famous equation, E = mc2 (1905). We now know that matter can be converted to energy, and vice versa. However, energy and mass are conserved, in keeping with the First Law. In the words of the famous evolutionary astronomer, Robert Jastrow, “[T]he principle of the conservation of matter and energy…states that matter and energy can be neither created nor destroyed. Matter can be converted into energy, and vice versa, but the total amount of all matter and energy in the Universe must remain unchanged forever” (1977, p. 32). The idea of matter-energy conversion led one physicist to postulate, in essence, that the cosmic egg that exploded billions of years ago in the alleged “big bang”—commencing the “creation” of the Universe—could have come into existence as an energy-to-matter conversion. Now, what Tryon was suggesting was that our entire universe, with its vast amount of matter, was a huge quantum fluctuation, which somehow failed to disappear for more than 10 billion years. Everybody thought that was a very funny joke. But Tryon was not joking. He was devastated by the reaction of his colleagues… (2006, p. 184). Though he was originally scoffed at, Tryon’s theory has gained traction among many prominent evolutionary scientists. After all, if true, according to Vilenkin, “such a creation event would not require a cause” for the Universe (pp. 184-185). [T]he universe is probably the result of a random quantum fluctuation in a spaceless, timeless void.... So what had to happen to start the universe was the formation of an empty bubble of highly curved space-time. How did this bubble form? What caused it? Not everything requires a cause. It could have just happened spontaneously as one of the many linear combinations of universes that has the quantum numbers of the void.... Much is still in the speculative stage, and I must admit that there are yetno empirical or observational tests that can be used to test the idea of an accidental origin (1987, 7:26-30, italics in orig., emp. added.). No evidence. No scientific observation. Just speculation. Estling’s comments initiated a wave of controversy and letters to the Skeptical Inquirer, eliciting a response by Estling to his critics. Among other observations, he said, “All things begin with speculation, science not excluded. But if no empirical evidence is eventually forthcoming, or can be forthcoming, all speculation is barren.... There is no evidence, so far, that the entire universe, observable and unobservable, emerged from a state of absolute Nothingness” (1995, 19:69-70, emp. added). Therefore, by naturalists’ own definition of science, such an idea is unscientific. There is no evidence that could prove such a thing. The creationist platform is in keeping with observational science and has positive evidence of a divine Being (e.g., the presence of intelligent design in nature, the existence of objective morality, the existence of a Universe which demands a cause, and the existence of a Book that contains supernatural characteristics). However, unlike the creationist platform, those who believe in Tryon’s theory are holding to a blind faith. Second, even if such a thing were possible—that energy could be converted to matter in the way that Tryon has suggested—one must ask, “Where did the energy come from?” Alan Guth, professor of physics at M.I.T., wrote in response to Tryon: “In this context, a proposal that the universe was created from empty space is no more fundamental than a proposal that the universe was spawned by a piece of rubber. It might be true, but one would still want to ask where the piece of rubber came from” (1997, p. 273, emp. added). In modern physics, there is no such thing as “nothing.” Even in a perfect vacuum, pairs of virtual particles are constantly being created [i.e., by briefly “borrowing” energy already in existence—JM] and destroyed. The existence of these particles is no mathematical fiction. Though they cannot be directly observed, the effects they create are quite real. The assumption that they exist leads to predictions that have been confirmed by experiment to a high degree of accuracy (Morris, 1990, p. 25, emp. added). Quantum cosmologists insist both on this absolute Nothingness and on endowing it with various qualities and characteristics: this particular Nothingness possesses virtual quanta seething in a false vacuum. Quanta, virtual or actual, false or true, are not Nothing, they are definitely Something, although we may argue over what exactly. For one thing, quanta are entities having energy, a vacuum has energy and moreover, extension, i.e., it is something into which other things, such as universes, can be put, i.e., we cannot have our absolute Nothingness and eat it too. If we have quanta and a vacuum as given, we in fact have a pre-existent state of existence that either pre-existed timelessly or brought itself into existence from absolute Nothingness (no quanta, no vacuum, no pre-existing initial conditions) at some precise moment in time; it creates this time, along with the space, matter, and energy, which we call the universe.... I’ve had correspondence with Paul Davies [eminent atheistic theoretical physicist, cosmologist, and astrobiologist of Arizona State University, who advocates the supposition that the Universe created itself from nothing—JM] on cosmological theory, in the course of which, I asked him what he meant by “Nothing.” He wrote back that he had asked Alexander Vilenkin what he meant by it and that Vilenkin had replied, “By Nothing I mean Nothing,” which seemed pretty straightforward at the time, but these quantum cosmologists go on from there to tell us what their particular breed of Nothing consists of. I pointed this out to Davies, who replied that these things are very complicated. I’m willing to admit the truth of that statement, but I think it does not solve the problem (1995, 19:69-70, emp. added). Some physicists assert that quantum mechanics…can produce something from nothing…. But this is a gross misapplication of quantum mechanics. Quantum mechanics never produces something out of nothing…. Theories that the Universe is a quantum fluctuation must presuppose that there was something to fluctuate—their “quantum vacuum” is a lot of matter-antimatter potential—not “nothing” (1998, 12:21, emp. added). A more fundamental problem is that Tryon’s scenario does not really explain the origin of the universe. A quantum fluctuation of the vacuum assumes that there was a vacuum of some pre-existing space. And we now know that “vacuum” is very different from “nothing.” Vacuum, or empty space, has energy and tension, it can bend and warp, so it is unquestionably something (2006, p. 185, ital. in orig., emp. added). He went on to propose that quantum tunneling could be the answer to the creation of the Universe out of nothing. However, quantum tunneling starts with something and ends with something as well. Particles that can jump or tunnel through barriers still must initially exist to do so. Bottom line: according to renowned atheist, theoretical physicist, and cosmologist of Cambridge University, Stephen Hawking, in order to create a Universe, “you need just three ingredients”: matter, energy, and space (“Curiosity…,” 2011). These three ingredients must exist in order to create a Universe, according to Hawking. So, the problem remains. Where did the ingredients for the Universe soup come from? There must be an ultimate Cause of the Universe. If the universe owes its origins to quantum theory, then quantum theory must have existed before the universe. So the next question is surely: where did the laws of quantum theory come from? “We do not know,” admits Vilenkin. “I consider that an entirely different question.” When it comes to the beginning of the universe, in many ways we’re still at the beginning (2012, p. 35, emp. added). Imagine that physicists finally discover all the basic waves and their particles, and all the basic laws, and unite everything in one equation. We can then ask, “Why that equation?” It is fashionable now to conjecture that the big bang was caused by a random quantum fluctuation in a vacuum devoid of space and time. But of course such a vacuum is a far cry from nothing. There had to be quantum laws to fluctuate. And why are there quantum laws?... There is no escape from the superultimate questions: Why is there something rather than nothing, and why is the something structured the way it is? (2000, p. 303, emp. added). In “Curiosity: Did God Create the Universe?” Stephen Hawking boldly claimed that everything in the Universe can be accounted for through atheistic evolution without the need of God. This is untrue, as we have discussed elsewhere (e.g., Miller, 2011), but it seems that Hawking does not even believe that assertion himself. He asked the question, “Did God create the quantum laws that allowed the Big Bang to occur? In a nutshell, did we need a god to set it all up so that the Big Bang could bang?” (“Curiosity…,” emp. added). He then proceeded to offer no answer to the question. In his critique of Hawking, Paul Davies highlighted this very fact, saying, “You need to know where those laws come from. That’s where the mystery lies—the laws” (“The Creation Question…,” 2011). Quantum mechanics, with its governing laws, simply do not leave room for the spontaneous generation of Universes. But what if quantum theory could allow for spontaneous generation at the quantum level? What if the First Law of Thermodynamics does not apply at the unobservable molecular world of quantum mechanics but only to the macroscopic world that we can actually see? Even if that were the case (and there is no conclusive evidence to support the contention that there are any exceptions whatsoever to the First Law of Thermodynamics—see Miller, 2010a), according to the Big Bang model, the quantum level cosmic egg eventually became macroscopic through expansion or inflation. Such an event would have been the equivalent of a breach of the First Law, even under such a speculative definition. Can quantum mechanics create Universes from nothing? No. Quantum particle generation requires pre-existing energy—a far cry from nothing. Could quantum mechanics spontaneously create Universes from pre-existing (i.e., created by God) energy? There is no scientific evidence to support such a proposition. So it is speculation and conjecture—wishful thinking on par with postulating that aliens brought life to Earth (which some irrationally believe). Tiny quantum particles fluctuating—bouncing around—is one thing. The creation of the entire Universe through a quantum fluctuation? That’s another. One who wishes to avoid acknowledging the existence of God should be expected to do almost anything to deny it. Reason will be thrown aside, and acceptance of far-fetched theories—theories that are so speculative that they belong in the fiction section of the library along with the The Wizard of Oz—will be latched onto as fact. The Bible gives the rationale for this irrational behavior by explaining that such a person has “itching ears” (2 Timothy 4:3). Such a person will “heap up…teachers” who will tell him what he wants to hear, who sound smart, and therefore, will make him feel good about the blatantly irrational position that he holds (vs. 3). He will turn his “ears away from the truth, and be turned aside to fables” (vs. 4). Thus, “professing themselves to be wise, they became fools” (Romans 1:22). The quantum fluctuation idea is simply another example of this same mentality, and the admonition to Christians is the same as it was in the first century: “But you be watchful in all things” (vs. 5). “Guard what was committed to your trust, avoiding the profane and idle babblings and contradictions of what is falsely called knowledge” (1 Timothy 6:20). Chown, Marcus (2012), “In the Beginning,” New Scientist, 216:33-35, December 1. Einstein, Albert (1905), “Does the Inertia of a Body Depend Upon Its Energy-Content?” Annals of Physics, 18:639-643, September. Gefter, Amanda (2010), “Touching the Multiverse,” New Scientist, 205:28-31, March 6. Guth, Alan (1997), The Inflationary Universe (New York: Perseus Books). Kolb, Rocky (1998), “Planting Primordial Seeds,” Astronomy, 26:42-43. Miller, Jeff (2010a), “Couldn’t There Have Been Exceptions to the Laws of Science?” Apologetics Press, http://apologeticspress.org/APContent.aspx?category=12&article=3713. Miller, Jeff (2010b), “Did the Laws of Science Apply in the Beginning?” Apologetics Press, http://apologeticspress.org/APContent.aspx?category=12&article=3710. Miller, Jeff (2013), “Evolution and the Laws of Science: The Laws of Thermodynamics,” Apologetics Press, http://apologeticspress.org/APContent.aspx?category=9&article= 2786. Morris, Richard (1990), The Edges of Science (New York: Prentice Hall). Sarfati, Jonathan D. (1998), “If God Created the Universe, Then Who Created God?,” Creation Ex Nihilo Technical Journal, 12:21. Tryon, Edward P. (1973), “Is the Universe a Vacuum Fluctuation?,” Nature, 246:396-397, December 14. Yam, Philip (1997), “Exploiting Zero-Point Energy,” Scientific American, 277:82-85.